Here To Hell is an Australian label by The Presets' Kim Moyes, and Revolver resident Mike Callander that celebrates the pointlessness of everything. Kim and Mike also record and remix as Zero Percent. The label's first release sees legendary Aussie band The Drones being remixed for the first time. Their song "Boredom" from Feelin' Kinda Free (2016) is twisted into two dancefloor interpretations (with a dub of each): K.I.M takes the original's Aussie rock to disco, and HTH label bosses Zero Percent's first official published work explores the darkness of the original instrumentation that underpins Gareth Liddiard's exceptional vocals. 2007 release. The Drones live at Gruta 77, Madrid, 2006. Not to be confused with the band that came from Manchester, England in 1977, these folks hail from Australia. The name doesn't give much away or hint at really what they might sound like or what they might be capable of. It's pretty understated whereas an album title, such as Wait Long By The River And The Bodies Of Your Enemies Will Float By most definitely is not. They weave an unusual sonic tapestry... they marinade country music shards in a punked blues.... Ebbing, flowing, brooding and delivering that all important throbbing pummel. Total running time: approx. 120 minutes. Extras: video clips, discography and trailers. NTSC/PAL multi-region format. Australia's The Drones are back. After five albums, 10 years touring and a deserved break for a rest and personal projects, The Drones come back on tour, presenting a new album of old songs re-recorded as they are seen by their authors these days, or as they were expected to be back in the day. This revision of rarely-played tracks is a new introduction to the darkest side of the music built by this band which has meant the change, evolution and new kind of sound from Down Under. 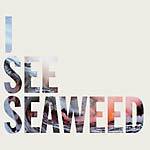 This record comes housed in a double gatefold deluxe vinyl sleeve. 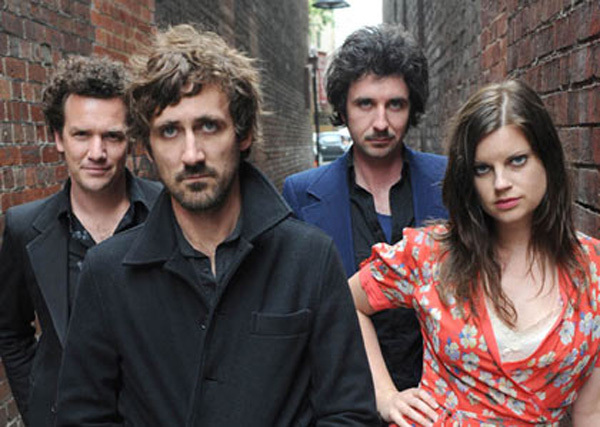 This is the fourth full-length release by critically-lauded Australian mavericks, The Drones. 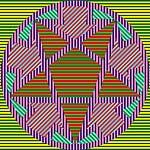 The splendid isolation in which Havilah was created lies in the foothills of Mt. Buffalo, once goldfield territory, outside the town of Myrtleford in country Victoria, where Gareth Liddiard began writing new songs for the album there. Two months later, guitarist Dan Luscombe, The Drones' most recent addition, and drummer Michael Noga joined Liddiard and Fiona Kitschin to rehearse the new material. Then producer and engineer Burke Reid (The Mess Hall, Gerling) lugged his recording gear through the door and off they went -- two weeks flat out -- until it was done. Havilah, like everything The Drones have done, is an album of contradictions, where bombast meets beauty, melancholy wrestles with violent guitars and singer Liddiard's incendiary voice lights up his angular poetry, this time on the nature of, in no particular order, the moon ("Penumbra"), divorce ("The Drifting Housewife") and the acquisition of god-like power and the Vanuatu cult of John Frum ("I Am The Supercargo"). It's an album that's brimful of the innovation and artistic integrity that has made The Drones one of Australian rock's most critically-acclaimed acts here and overseas. There are vaguely familiar nods to Neil Young's paint-stripping guitar spasms on "Supercargo" and "Oh My," while the deliciously meandering pop dirges of Suicide and the Velvet Underground echo in "Careful As You Go" and "Luck In Odd Numbers." It's melancholic, certainly, but Havilah, in its tone and its delivery, is also a celebration. It's a more positive statement than its predecessor. Once you've been around these 10 songs for a few hours, it's not hard to make up your mind about them. They are bold, they are romantic, and they are dangerous. The Drones present the first single and picture disc, "The Minotaur" off their highly-anticipated fourth album, Havilah. "The Minotaur" is a lusty and brutal blitz that over three and-a-half minutes, manages to draw the historical line between ancient Greek mythology and current-day time-wasting. A half-salute to modern-day sloth, and the painful decisions our future leaders face. The EP also includes another track from the new album alongside two tracks from Wait Long By The River... and two tracks from Gala Mill. The Drones mark their return in 2006 with the release of their much-anticipated third album, Gala Mill. Recorded in a mill on an isolated 10,000 acre farm on Tasmania's east coast, Gala Mill is an album full of extremes -- moments of stark, ghostly beauty set against outbursts of the dark, intense noise for which the band is renowned. The album's sense of place is palpable -- barking dogs and birdsong are heard between tracks, and the island's history and atmosphere resonate through the songs. 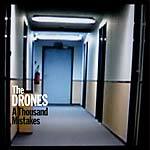 This is as diverse and eclectic a collection of songs as The Drones have recorded to date. It opens with "Jezebel," nearly eight minutes of sound and fury wound tightly around a complex lyric that encompasses subjects as diverse as nuclear testing in Australia, the Beslan school massacre, a cow that glows in the dark and the murder of US journalist Daniel Pearl. "Dog-Eared" is a quietly introspective ballad, while "I'm Here Now" chronicles watching friends slide into heroin addiction. "Words From the Executioner to Alexander Pearce" tells the story of the notorious convict Pearce who escaped twice from Macquarie Harbour, both times cannibalizing his fellow escapees, and was eventually executed for his crimes. "I Don't Ever Want to Change" is about depression and denial, and "Work for Me" sees Kitschin's debut on lead vocals. "I Looked Down the Line and I Wondered" takes its title from a song by the 1930s gospel singer Sister Rosetta Tharpe, while "Are You Leaving For The Country" is a breezy cover of a song made famous by Karen Dalton. 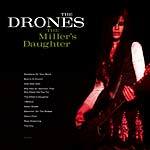 Finally, "16 Straws" is a lyric ballad without precedent in The Drones' previous work, a song that draws on a rich tradition of Australian storytelling. Infused with a rich sense of history and yet utterly modern, both thought-provoking and viscerally compelling, Gala Mill marks the welcome return of one of Australia's most intelligent, innovative and important bands. Australia's The Drones scooped the first ever Australian Music Prize for their album Wait Long By The River and the Bodies Of Your Enemies Will Float By. Now they present a double A-side picture disc of "Shark Fin Blues" (their punk-blues anthem) and "You Really Don't Care," both songs from their aforementioned album. This quartet screams out like Beasts Of Bourbon, the Scientists and Birthday Party all rolled into one. In short, the distillation of Australian rock n' roll history -- a perfectly formed band. Based in Melbourne, this second release from The Drones is a magical but terrifying ride toward the edge of danger... sometimes chaotic and stern, sometimes melodic and joyful. Summoning the dirge/garage grime of The Cramps, and the hollow bellow of Nick Cave or Jon Spencer, The Drones aren't afraid of hiccups and raw, explosive guitar scrawl. Emerging as one of the best new bands in Australia, the combination of Mike Noga (drums), Fiona Kitschin (bass), Gareth Liddiard (vocals/guitar) and Rui Pereira (guitar) first began their beautifully chaotic journey in 2001, with the release of their manic, but poetic debut album, Here Come The Lies. It was an exuberant, soulful, harshly beautiful and darkly comical affair in garage/blues howlers. It also received huge praise all over the world and is now heralded as an Australian classic. The Drones' music can be compared to early Green on Red, fellow Australians The Scientists, early Birthday Party, Suicide, Hank Williams, Towes Van Zant, Black Flag, and Dirty Three with their live performance conveying an unmatched intensity. Wait Long By The River And The Bodies Of Your Enemies Will Float By, is proof that The Drones are well and truly of one of the most intense and gifted bands in the world, on stage and record. This is the distillation of Australian rock n' roll history condensed in one perfectly-formed album. This is Down Under voodoo.